Weekdays are so busy, work, house work, outdoor work you name it, the list is simply unending. The days we work from home, it is worse, unending conference calls, chains of email and amidst that taking your bath, vacuuming the house… believe me it is easier to work from the office.. In all this thinking about what to make for lunch is the last thing I want to rack my brains about. So a few days back, I cam across a recipe of stir fried mushroom in the vegetarian food magazine.. Ever since I to the Next Issue, I am hooked on to it. I love this app. has some cool magazines, including cosmopolitan. I confess I love cosmo, and all the gossip that comes with it. But next issue has some good stuff when it comes to recipes. 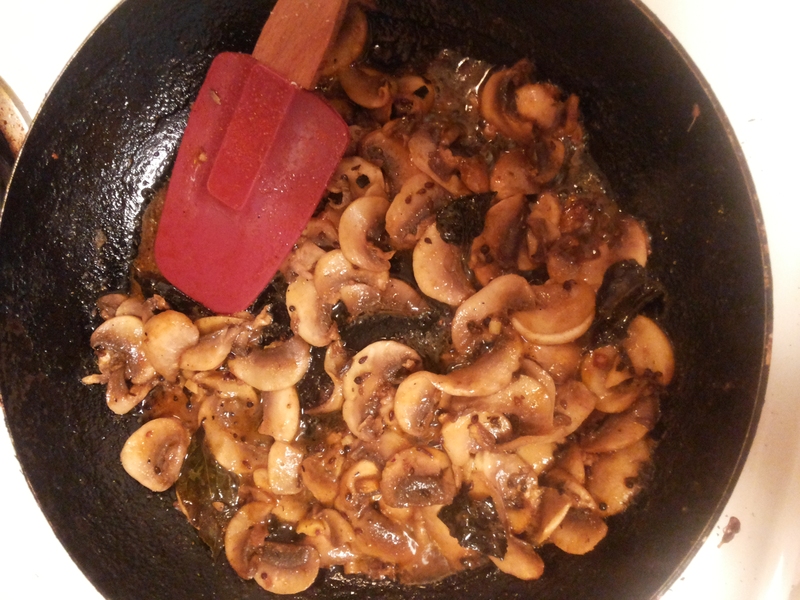 So I came across this mushroom stir-fry recipe , though perfectly good in itself, I decided to give it an Indian touch to it. The one thing that stood out to me about this recipe was besides the fantastic flavor, is how fast and easy it is to create. Toss a few ingredients in the pan, stir it for a minute and you are sorted. Works great for week night dinners too. My recipe was inspired by t home with Madhur Jaffrey. Though I substituted a few ingredients. 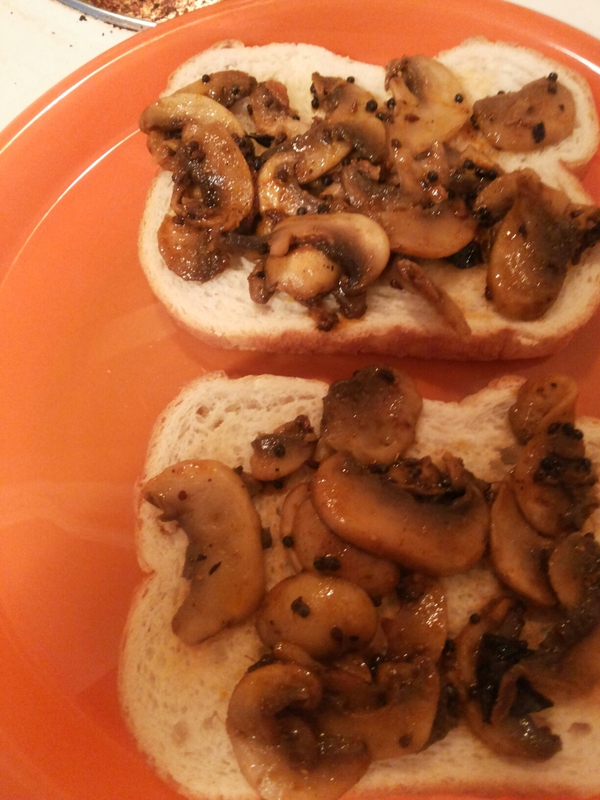 Next toast two pieces of bread, to medium crisp and top them with the stir fried mushroom for quick easy and healthy lunch. P.S. please excuse for the not so good photos.. took them from my phone. you can serve it with roti as well or you may even serve it as a side dish with daal and rice. the white butter is added because a combination of white butter and olive oil accentuates the taste of the mushrooms.